In March of 2013, a flotilla of boats on the Easter Cruise was about to celebrate the reopening of the Deepcut flight after nearly 5 years closure by navigating the full length of the Canal and back. But literally just a few days earlier, in late March, the Canal had to be closed for safety reasons because a very large quantity of soil and trees had parted company with an adjacent bank, pushing the towpath into the Canal. 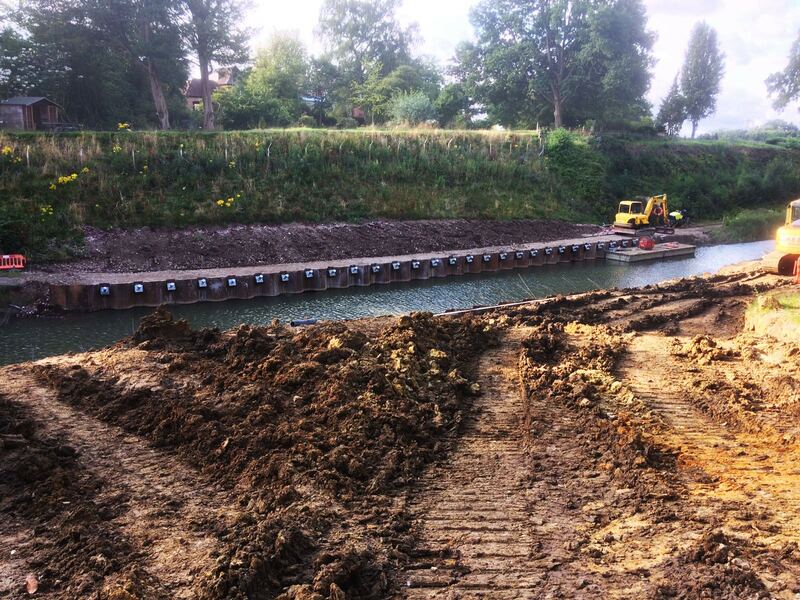 On behalf of client Dyer and Butler and to prevent future ground movement, Aarsleff Ground Engineering is on site stabilising this very bank canal in Dogmersfield, Basingstoke by drilling 86no 220mm diameter DCP ground anchors through an existing sheet piling wall. Works are due to be completed next week.